Fear and rejection can leave us feeling paralyzed. 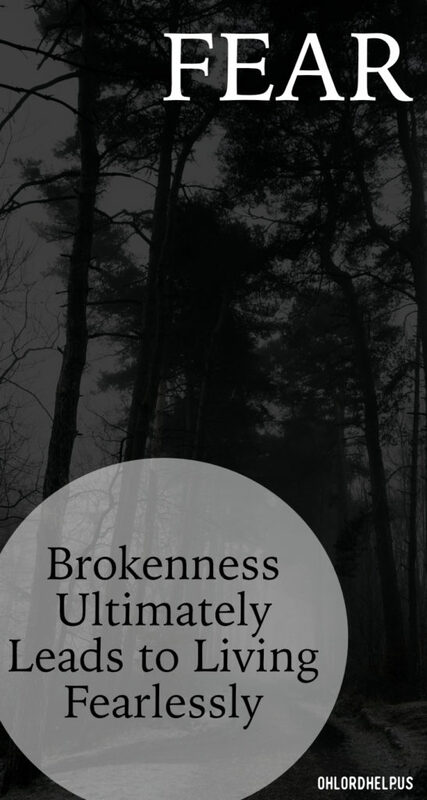 But it is our brokenness that will ultimately lead to becoming fearless. My earliest memory of fear occurred when I was a child of six. On a warm summer evening, my family went to the home of some good friends of my parents for dinner. All my brother and I cared about was that they had kids close to our age – two boys. (It seems none of my parent’s friends had girls, but that’s another story!) While the adults chatted after the meal, we children happily played outside on the swing-set laughing, yelling, and probably arguing. 😉 Suddenly, I felt something stinging my face; the pain was immediate and intense. Jumping off the swing, I ran screaming to my mother, who soothed me and quickly assessed I had at least two bee stings on my face. Her friend made a paste of baking soda and water to apply to the stings while I rested on mom’s lap. Within several moments I was ready to return playing with our friends, but no words came out when I opened my mouth to speak. I tried once again, but to no avail. Panicked, I got mom’s attention and she realized my body was swelling. Things were moving quickly from there. Fear spread throughout the group as they were preparing to take me to the hospital. Fortunately for me, mom had recently read an article regarding deadly allergic reactions some people had to bees and that a new desensitization process was being offered by the medical community. That article saved my life. Needless to say, despite several years of shots to alleviate my reaction to bees, I spent decades being deeply afraid of them. I’m blessed to say I’ve raised perennial flower beds for 15 years now. In high school, I wanted to be popular…translated – liked/loved. As a result, I became a cheerleader, joined clubs, became editor of the newspaper, etc. Guess what? There were still people who didn’t like me. Shocker, I know. For reasons unknown, I can recall one particularly vicious phone call I received from a popular girl about something I didn’t do, but she thought I did. 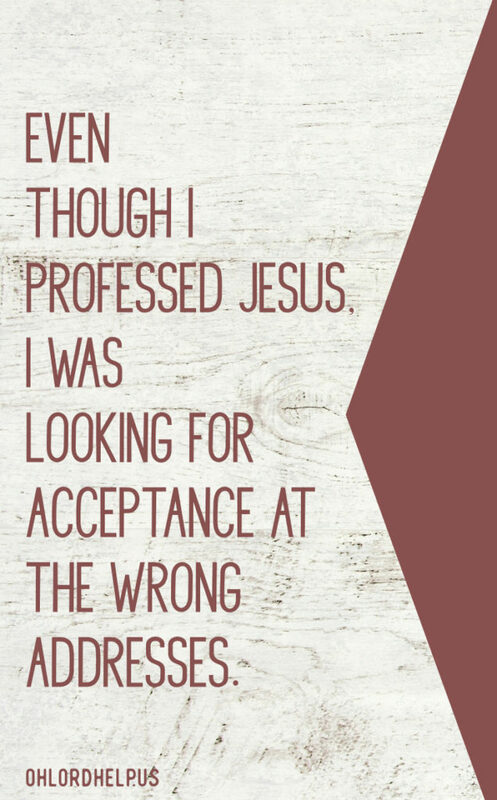 Even though I professed Jesus, I was looking for acceptance at the wrong addresses. Listen to Me, you who know righteousness, You people in whose heart is My law: Do not fear the reproach of men, nor be afraid of their insults. For the moth will eat them up like a garment, and the worm will eat them like wool; But My righteousness will be forever, And My salvation from generation to generation. When I was a young mother with a baby, my husband worked a swing shift. I didn’t like staying alone on the nights he had to work, but I spent most evenings at my parents’ until it was time to take my son home and put him to bed. 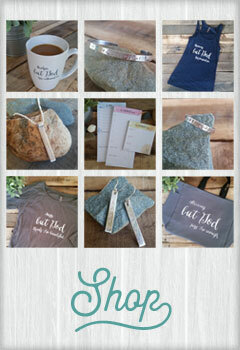 But then one night while we all were out, our home was burglarized. My husband and I felt violated. After that, fear blossomed like a sunflower in my chest. I heard every noise, real or imagined, in the house or the basement. Its embarrassing to remember the times I would call our neighbor over to check the house because I thought I had heard something. (He and his wife were very gracious!) This fear lasted so long it was making me physically ill – I was trying to stay awake all night, begging God to keep us safe. I was thinking of escape plans for my son and I should someone break in. It was difficult. During this time, I was working with first graders in Sunday School. One week we made a prayer wheel out of paper plates. For every need on one side of the wheel, there were Bible verses on the other side that applied to the need. “Coincidentally,” my husband worked nights that week, which I dreaded with a vengeance. In desperation, one night I pulled that children’s prayer wheel out and turned it to fear, looking up each verse. I told God I was so weary of living this way, and I knew that He didn’t want me to anymore. (He does say, “Fear not” 365 times in His Word!) From that night forward, the paralyzing fear left me. Has it attempted to return? Sure, but God has delivered me from the stronghold of fear each time. I believe we all battle with fear in one form or another. Otherwise, why did God mention it so often? Sometimes I wonder if our fear isn’t used by God to help bring about needed brokenness…because only out of brokenness comes fearlessness. And isn’t that what we really want – to be fearless? Even Paul asked the Ephesians to pray for this in him in Ephesians 6:16-20. 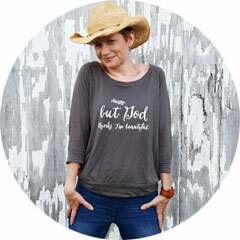 I was afraid, but God… loved me. 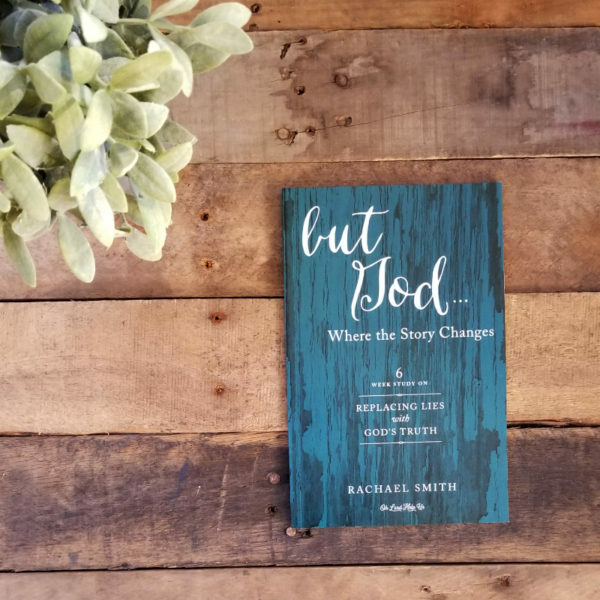 This is one of the truths you will learn in the study, but God…Where the Story Changes. Thank you, Katie. The deeper I believe in His love for me, the more willing I have become to cast my cares and fears upon Him. Believe me, it’s never a one-and-done transaction, but Jesus remains faithful. Right?! When we come with the faith of a child He is quick to respond. He’s a good, good Father and wants more for us than we want for ourselves. I’m so glad you were encouraged. Great post! I have been plagued by fear as long as I can remember! I love how a child’s paper prayer wheel broke the cycle of fear. I think God wants us to believe like little children because they don’t have to fear the great big and little things as much when they have the loving arms of their parents nearby. God is right near us, ready to embrace us when we’re are fearful. So ultimately we don’t need to be afraid! Amen, Julie! 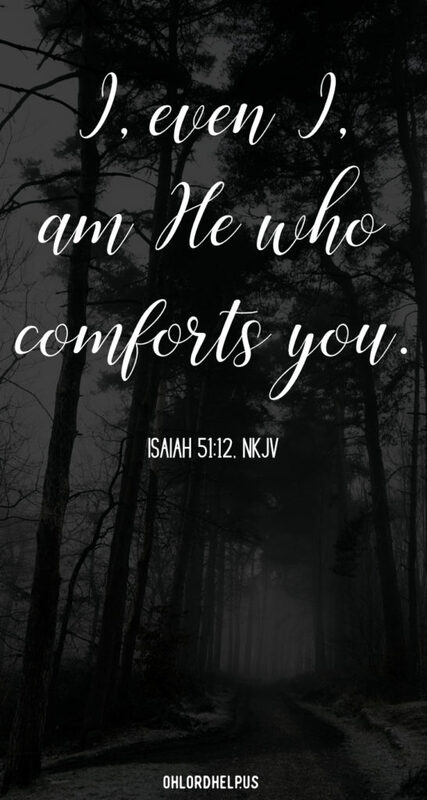 God’s loving arms are ready to hold us close and comfort us in our times of darkness or fear. My father had a heart attack on a trip over forty years ago and my mother is still scared when he travels. It takes a lot of intention and following God to triumph over those ingrained fears. You’re right, Alice, it does. Also, it requires trusting in the knowledge that our Father is our refuge and fortress, our comforter and deliverer. Psalm 91 is a great encouragement! I was a bit of a scaredy cat when I was little. (It didn’t help that my brother took full advantage of that and would constantly jump out at me.) So in order to do anything that caused me fear I would ask for someone else to go with me and their comfort would slightly help. I think of that now, how we have the Creator of the universe willing to hold our hand during anything that is frightening to us. To support us and comfort us. To give us His courage. There are so many ways we battle fear throughout our lifetime. Thanks for being candid and sharing some of yours. And I love your ending. Even when we are afraid, God loves us unconditionally. Thank you, Heather. I am daily amazed at His unfailing love and faithfulness. Thank you! He has always been faithful to me…even when I have been faithless. I appreciate your encouragement!